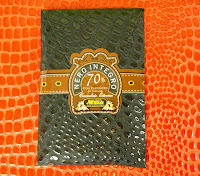 Today was Day #3 of Chocolate and Leather Theme Week. 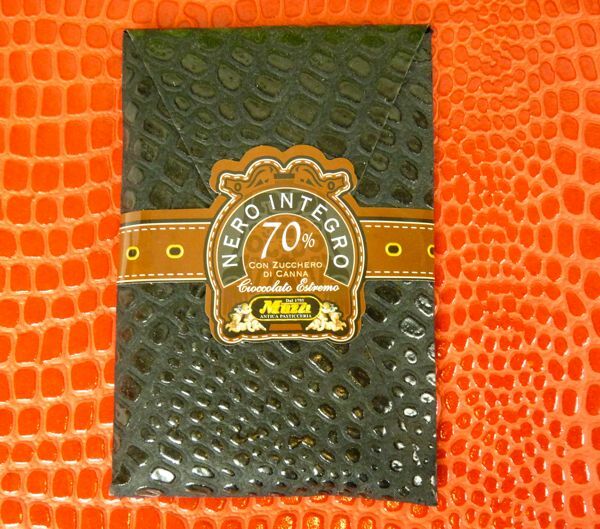 Today's 70% Total Black (Nero Integro) bar with cane sugar was enveloped in a black leather-like wrapper. The sugar created an ever so slight grittiness to this robust yet smooth bar. 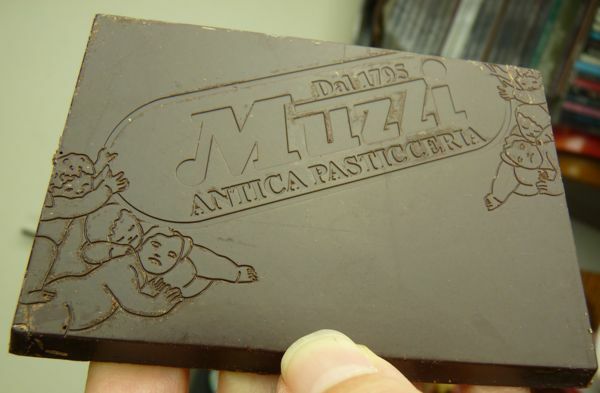 This Extreme Chocolate (Cioccolato Extremo) bar from Antica Pasticceria Muzzi (Foligno (PG) Italy) was part of the company's "A pelle" (soft leather) line, that "comes from a particular research of the finest cocoa in the world and nicely blend together with particular ingredients." The translation from Italian to English may be a bit off, but the sentiment shines through.